No matter where any of us are on our journey, there is always a “next step” that we can take to grow spiritually and progress forward in our relationship with God. • Baptism – The act of water baptism is a public, outward expression that indicates a personal, inward faith. • Tough Questions – Maybe you’re curious about Christianity and have honest questions that you’d like answered. Let us help you find answers to those questions. 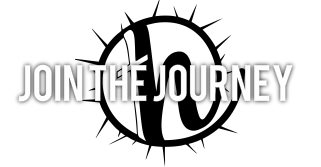 • Journey Groups – At HiWay we desire to be a community of passionate Christ-followers, and Journey Groups are the primary way we strive to create that community. We have groups meeting for every age and stage of life, visit our Welcome Center on a Sunday morning to discover which one fits you best. • Join the Journey – If you are beginning to realize that HiWay is the place you want to call home and you are interested in joining in church’s vision of “A Community of Believers engaging our world with Faith, Hope and Love, so that all may experience the Love, Joy and Purpose found in Christ Jesus,” you should consider attending the next membership class. This is a great place to hear more about where HiWay has been, where it’s headed, and what part you can play in that process. The membership class happens on a Saturday morning and is normally offered at least once a quarter. If you are interested in attending the next membership class, you can call the office for more information. • Serve Others – God has uniquely designed you with specific gifts, abilities, and strengths. He wants you to use them to impact others—let us know if you’re ready to get started! • Give – God has given us time, talents, testimonies, and treasures. He calls us to tithe and give to the church to continue the work of the church. Helping it reach more people and have more effective ministries.